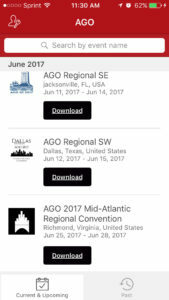 We’ve built a mobile app for the 2017 AGO Mid-Atlantic Regional Convention. 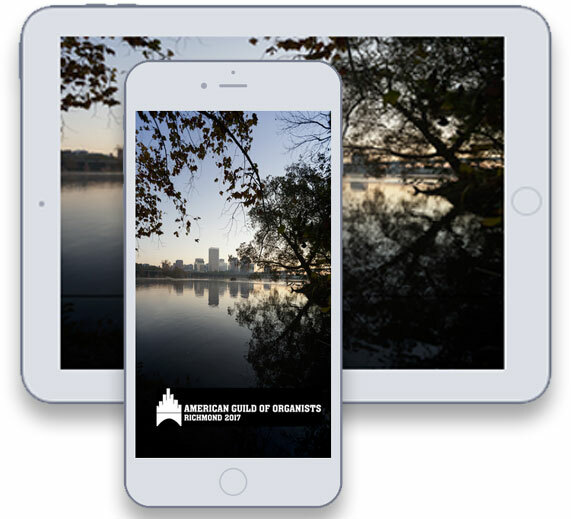 It has all the important information you’ll need and features to enhance your convention experience. View the convention schedule and create your personal schedule. 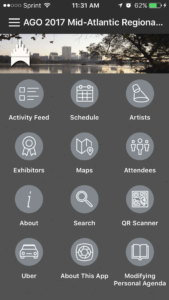 Access artist and exhibitor information and venue maps. Download Stop Lists and Programs. Get the most current information! Go the right store. 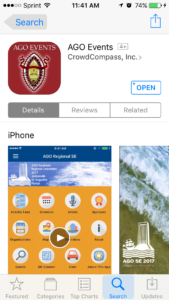 Access the App Store on iOS devices and the Play Store on Android. Install the app. Search for “AGO Events”. Once you’ve found the app, tap either Download or Install. After installing, a new icon will appear on the homescreen.